Wriggle and Jiggle your way through this fabulous collection from Kids Music Company. 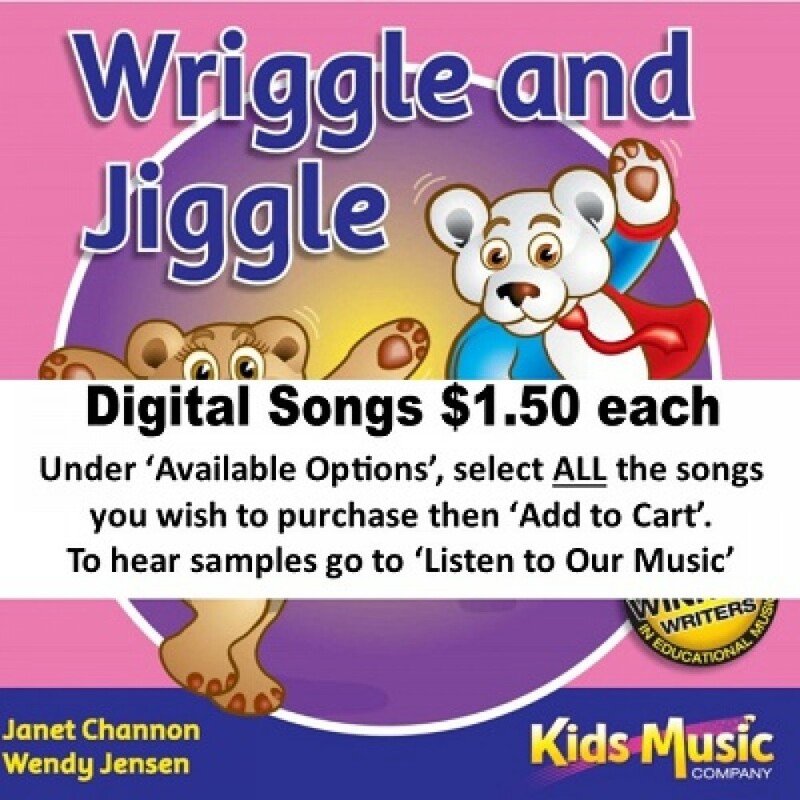 Join cat and worm in the garden, or octopus and stingray at the bottom of the Caribbean Sea. 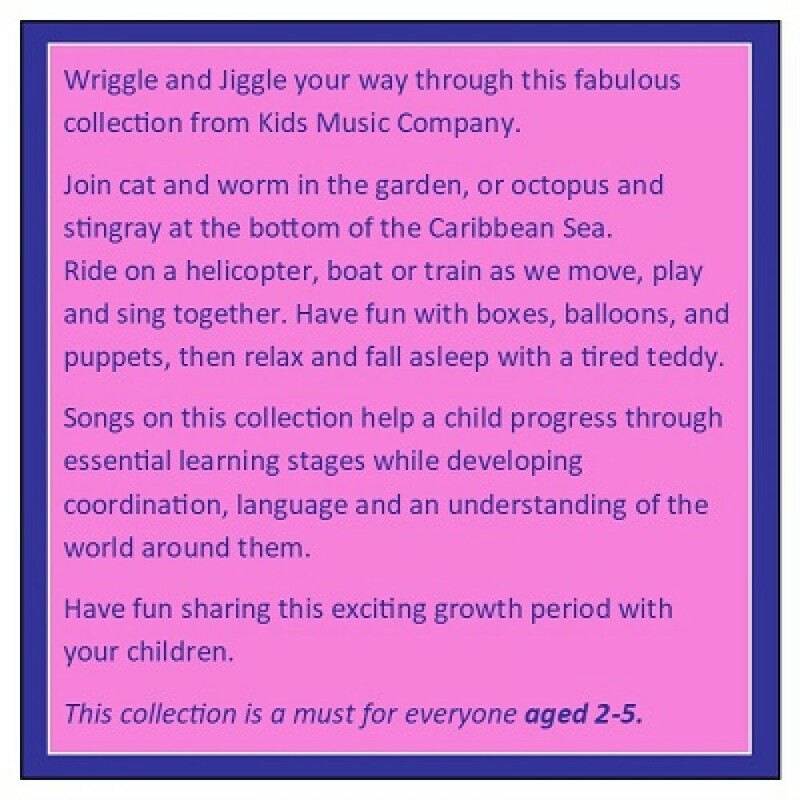 Ride on a helicopter, boat or train as we move, play and sing together. Have fun with boxes, balloons, and puppets, then relax and fall asleep with a tired teddy. 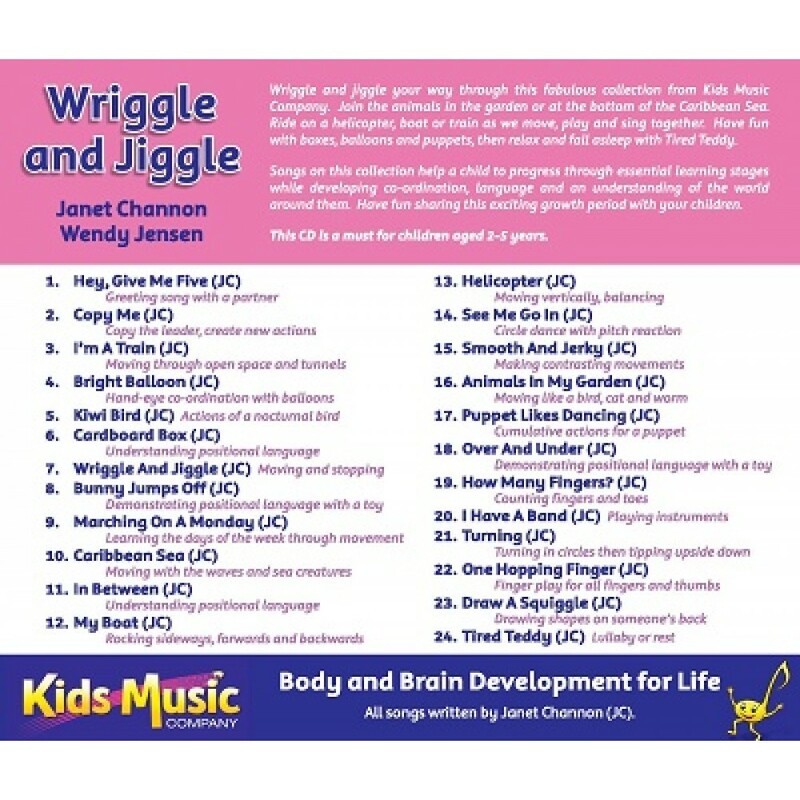 Songs on this collection help a child progress through essential learning stages while developing coordination, language and an understanding of the world around them. Have fun sharing this exciting growth period with your children. This collection is a must for everyone aged 2-5.